Click on image above to register. It’s FREE! Do you know deep inside that your wild, creative light is being called to shine? Are you feeling stifled, stuck or even unworthy of stepping forward into this radiance? Then keep reading. Feminine leaders all over the world are being called to SHOW UP, and serve through their TRUE passion at this revolutionary time on earth. If you’re reading this, you’re one of them. ‘She’ has risen, and ‘Her’ voice is calling us to heal and serve NOW! I understand how difficult it can be to have the courage to share your passions and align them with your Divine Purpose, especially if you are unaware of the true power your sexuality holds. Sexual sovereignty is directly linked to how to expression your God given gifts and unique contribution. When we are numb to our pain, we are also numb to our purpose. It’s time to TALK about those areas that have been silenced, shamed, objectified and oppressed, so we can rise and shine! No more waiting. That’s why I’m so excited to let you know about The Wild Woman’s Renaissance that my sister Shellie White Light is hosting. This FREE online series of sacred conversations is empowering, life-changing, and transforming! Shellie is a sought-after Sacred Sexuality and Spiritual Mentor, a vessel for Divine Mother’s Love. Growing up the only daughter to a long lineage of Baptist Preachers, she knows the wounding of religious and societal shame around sexuality and self expression all too well. 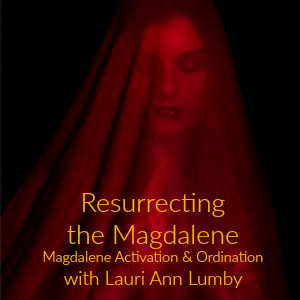 However, her studies of the deeper Feminine-centered teachings of Jesus and Mary Magdalene, along with traveling the world studying with many shamans, healers, teachers, visionaries and creators of the highest caliber, has given her a unique set of tools and perspectives. 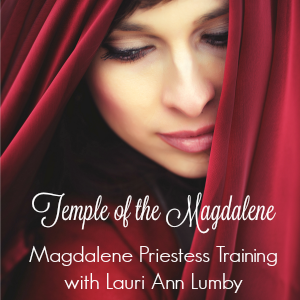 Through these life experiences she birthed a passion for helping women acknowledge their own self-sabotage and break free from the chains that hold them back from a FULLY expressed existence; using a unique blend of intuitive shamanism and confidence coaching to guide women to embody their gifts and sensuality to courageously share their greatest service. That is what The Wild Woman’s Renaissance is all about! I am one of 21 featured speakers on an experts panel of powerhouse female visionaries. 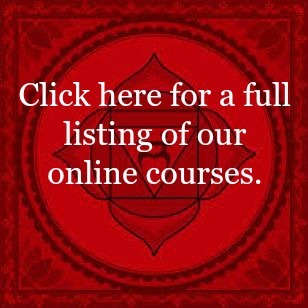 It is an honor to share stories and tools along side these other women who are doing their work in the world as priestesses, shamanic pelvic floor practitioners, doctors of fertility and menstrual flow, womb wisdom carriers, mojo recovery specialists, orgasmic manifesting experts … and beyond! Together, our collective experience and skill sharing will help to embody and embrace sexual sovereignty so that you can begin to live from your own *juicy* creative connection. This event starts on August 1st and runs live through August 21st, ending on the same day a Total Solar Eclipse crosses coast-to-coast across the USA! This is a very powerful conversation happening at a *very* potent point on the timeline of our lives. Shellie is a stand for all women everywhere living and expressing themselves, sexually and creatively, from a place of devotion and wholeness. This shift needs as many awakened lights as possible. Will you be a spark, a candle in the darkness? Don’t wait, The Renaissance has begun.